I must say, Caramoan was an unexpected delight. From a 12-hour ride from Manila with an erratic pavement and curves, it was a weary journey down south and all I ever wished for was that Caramoan will be worth the back pain. Leaving Manila was an exciting jump start but my energy slowly declined as soon as the sun beamed. I was all famished and tired upon reaching Caramoan but with a hearty breakfast at Al Del Rio Villa, I slowly regained back my energy. A few meters away, we then reached the port where our boat for the day docked. I didn't realize that was already the start of tables to turn - after all, it is a Survivor destination. My then restless body has soon been touched with sunlight and drizzled by the splash from the ocean we were sailing upon. I have an affinity with water so being close to the ocean is always a blissful moment for me. The day was filled with Island hops. That being the itinerary, I simply can not ask for anything better. Matukad Island was an interesting starting point. A steep climb over rock formations, sitting on top of powder-like white sand, it was challenging route and bruises and scratches can be easily collected, but seeing the mythical Bangus or Milkfish gave an instant relief. Legend has it that the fish has a pair taken away from the lagoon. As soon as it was removed from its home, tragedies happened so the locals decided to return the fish back to its waters. Lahos Island was the next destination. Its interesting landscape immediately caught my attention where a sand bar is enveloped between two rock formations. The scenery and the school of colorful fishes swimming underwater make this island truly a paradise. The following day even had more adventures in store. Cagbalingad Beach gave us the perfect spot for those photoshoot fit in every blogger's checklist. Not only was it picturesque, it was a calm and placid island perfect to just bathe and chill that even the waves were so serene. Manlawe Sandbar offered the most exciting lunch I have ever had. Floating over rafts on a high tide, our mini buffet was an extreme balancing act with more than twenty people on board. While it was a tad frightening to spill the sumptuous food all over, it was one thing I enjoyed the most - the thrill of it. Vendors started to flock our raft proving once again that flee shops are more fun in the Philippines! But Caramoan's crowning glory will have to be Guinahoan. They say relating one destination to another should be avoided but there is no better way to describe this charming island but be labeled as the Batanes of Caramoan. The stillness, the breathtaking view of the Pacific merging with the South China Sea and with the presence of cows on the slopes, each snap feels very surreal and I am kept in awe even after we have left the island because it feels like those default computer wallpapers have come to life. Caramoan is a humble town and a quiet neighborhood. 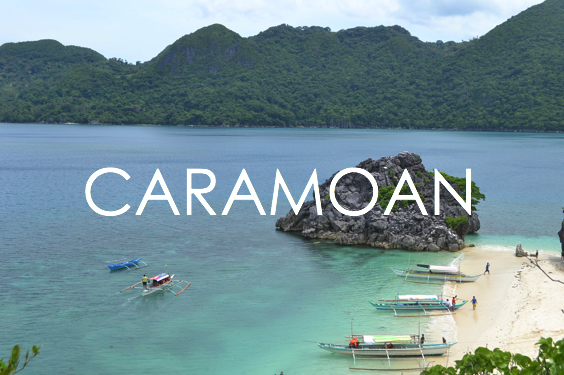 But beyond the rather modest aura, Caramoan has so much to offer for the adventurous soul. The locals treat you with the warmest welcome and hospitality is beyond compare. Al Del Rio Villa has proven this claim being our host in Caramoan. Just a few meters away from the port, the resort gives direct and easy access to start the island hopping adventures and the town center area. The rooms at Al Del Rio Villa are also designed to keep friends together and share food at a reasonable cost. Book your stay with them here. As a house converted to receive guests wanting to explore Caramoan on a budget, Al Del Rio Villa is able to preserve the homey feel in its premises. High end resorts in Caramoan are rarely seen and the best way to experience the candid feel of this town is through home resorts like Al Del Rio Villa. With such a beautiful destination to be, it is needless to say that wonderful people to come along with is above anything, the most important factor for the Caramoan trip adventure. 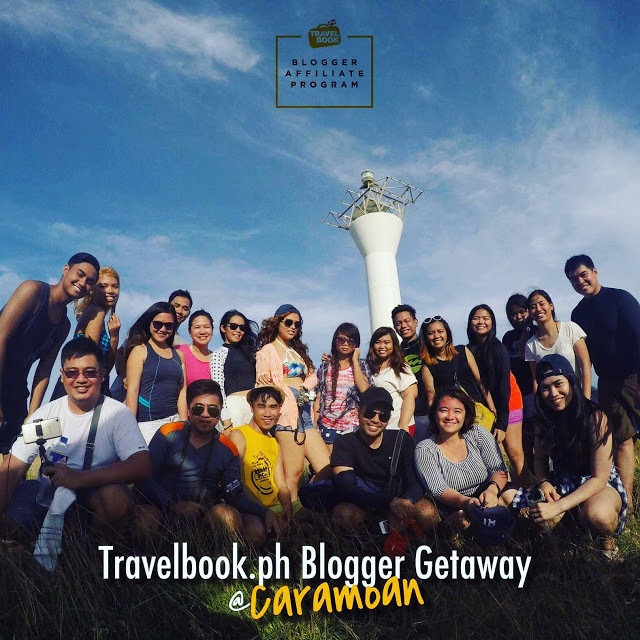 TravelBook.ph has brought along together bloggers from different walks of life with a genuine passion for fun and adventure. When passions connect, you make the best of friends and that is what the TravelBook Blogger Affiliate Program has made. Not just the chance to earn through our blogs but the chance to meet and befriend great individuals, because at the end of the day, its the people you travel with that truly matters!